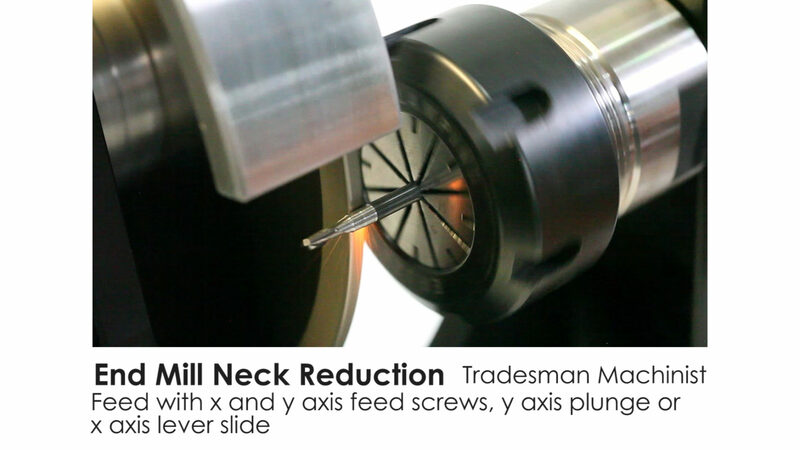 Reducing the neck diameter on a 3/8″ and 1/8″ end mill. We’re using the Tradesman Machinist DC Bench Grinder with the neck attachment. The Tradesman has high torque at low speed and is also cool, quiet and precise so that you can comfortably grind small tools like the 1/8″ end mill in this video.